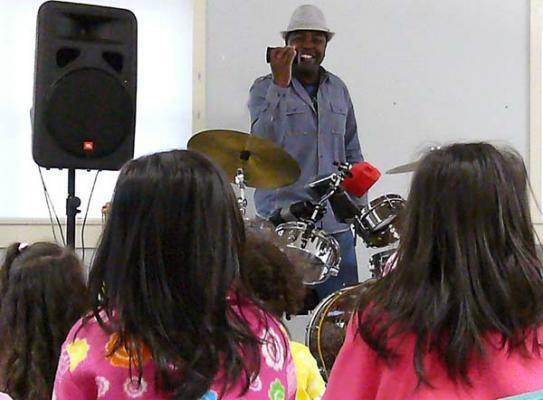 The Uncle Devin Show is a live, interactive musical experience for children five and over by renowned drummer Devin Walker. The show cultivates the minds of children through percussion instruments and is a dynamic cross between Fat Albert and Schoolhouse Rock. 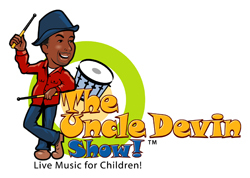 The Uncle Devin Show seeks to connect with children through the drum and the art of storytelling to lead toward their personal, cultural and social development. This interactive show will allow children to participate individually or as an audience, with specially designed activities that includes clapping, dancing, singing and the African tradition of call and response. Walk away with a better understanding of history, health, cultural awareness, internet safety and the importance of telling the truth. Be able to appreciate how music, technology and the arts can enhance their learning experience and what they can do to help keep music in schools. Be able to see how different drum and percussion instruments are played and sound.